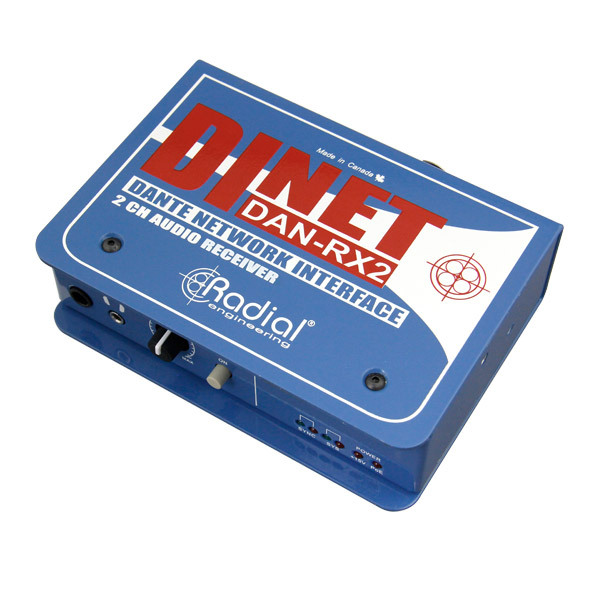 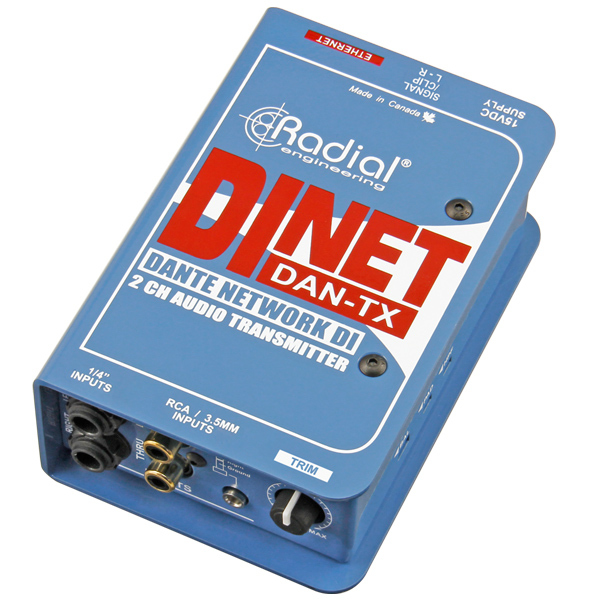 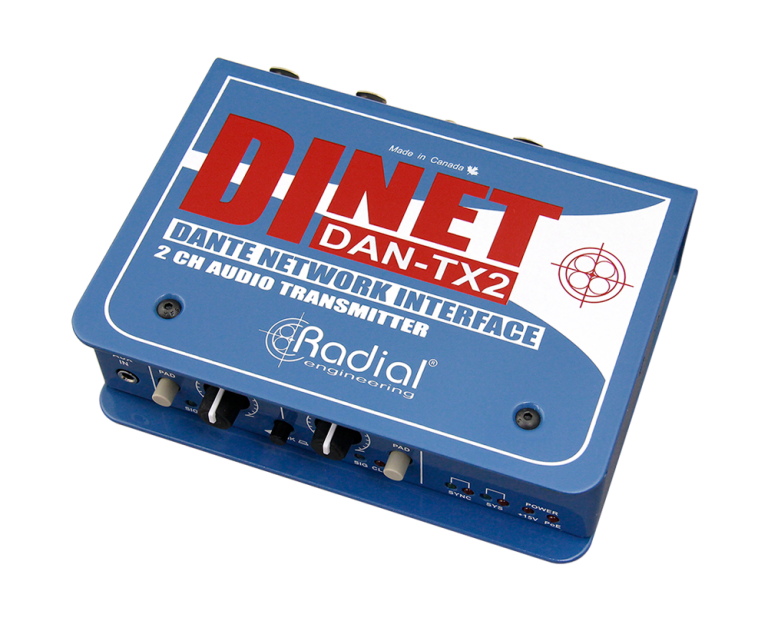 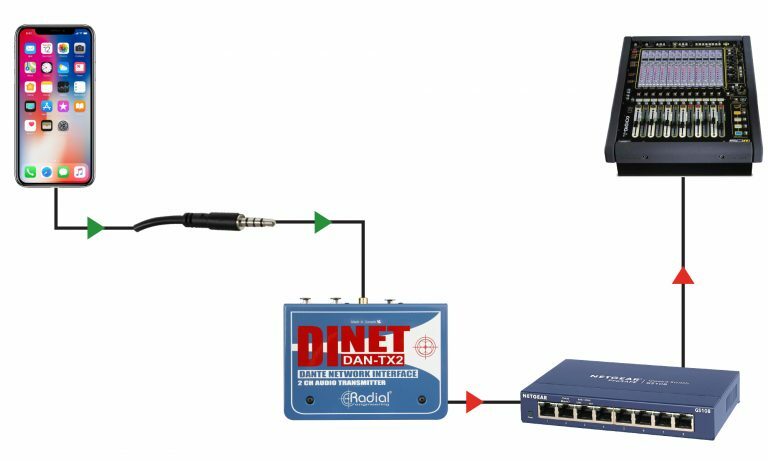 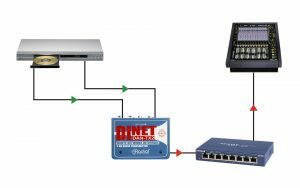 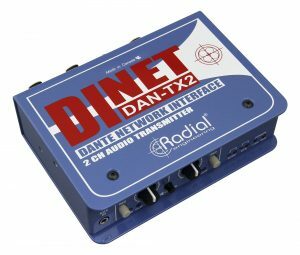 The DiNET DAN-TX2 makes it easy to transmit two channels of high quality analog audio over a Dante or AES67-compliant network. 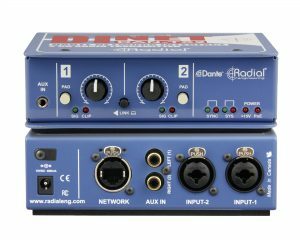 Multiple input options are provided, with Balanced XLR/TRS connectors for professional audio sources, RCA jacks for line level consumer devices, and a 3.5mm aux input for connection to laptops, smartphones, and tablets. 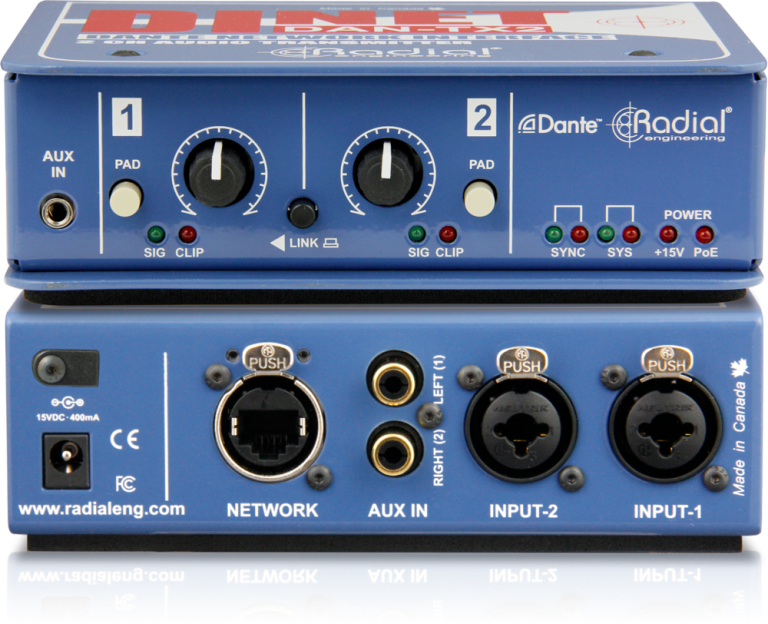 Trim controls and pad switches are included for each channel, with a link switch to simplify control for stereo sources. 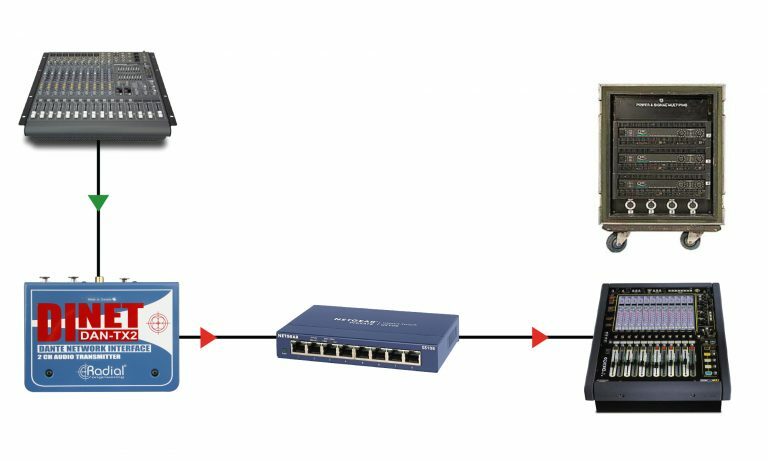 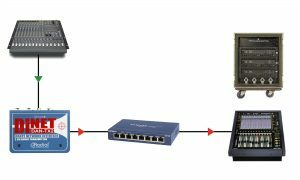 The RJ45 network connection is compatible with Neutrik etherCON connector carriers to prevent accidental disconnection and protect cable terminations, and redundant powering is available for critical applications by using the included external power supply and Power over Ethernet (PoE) simultaneously. 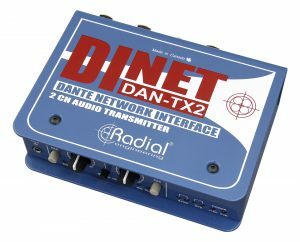 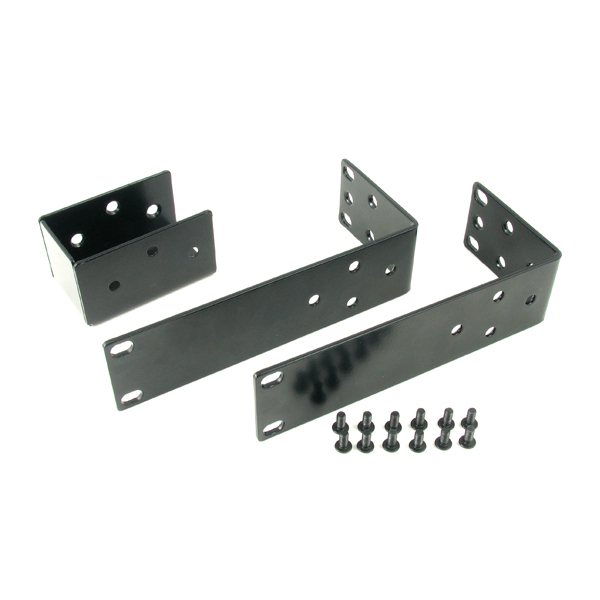 The DAN-TX2 can be mounted in 19" equipment racks with the optional SA series rackmount adaptor kit. 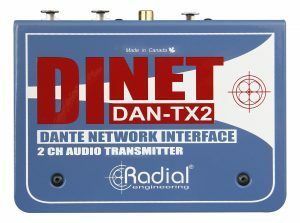 Connect CD/DVD players to the RCA inputs for easy integration with a Dante network. 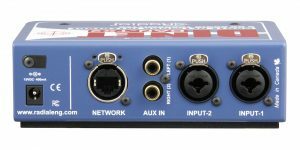 Engage the Link switch when using stereo sources to control both left and right inputs with the level control and pad on Channel 1. A 3.5mm stereo Aux input allows you to easily connects laptops, smartphones and tablets to a networked audio system without the need for special software or equipment. 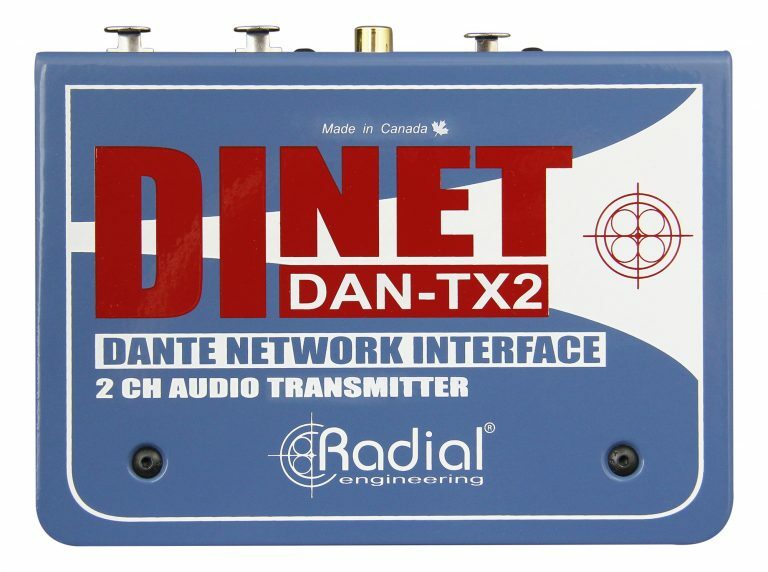 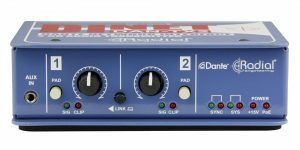 The balanced XLR/TRS inputs on the DAN-TX2 can handle signal levels up to +24dBu, allowing any balanced analog mixer, recorder or playback source to be quickly connected to a Dante network.